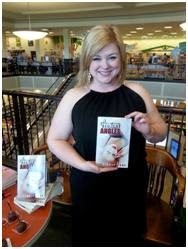 Please welcome Nicole Lane, author of Playing all the Angles as she tackles our Desert Island Interview! I'm an adapter by nature. I'd talk to myself. I wouldn't wish being stranded on anyone, but if we've got my yacht and my working cell phone, I'll take my husband and we'll call it a vacation. Oh, I've read Island of the Blue Dolphins, so I think I'd do all right--maybe that's the book I should take. A selfie because I would be super skinny!